The investment objective of the Marlborough Nano-Cap Growth Fund is to seek to provide capital growth in excess of that achieved by the FTSE SmallCap Index (excluding investment companies) over the long term. Investors should be aware that there is no guarantee that this objective will be achieved over this (or any) time period and that your capital is in fact at risk. Giles is head of the UK equity funds team. He is regarded as one of the UK’s leading small-cap investors and has earned numerous awards. Giles has managed Marlborough Special Situations since 1998 and now runs the fund jointly with Eustace Santa Barbara. 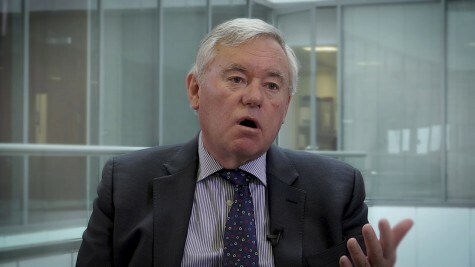 Giles is also Co-Manager of the Marlborough UK Micro-Cap Growth and Marlborough Nano-Cap Growth funds. David graduated with a First Class degree in economics from Cambridge University before joining M&G, where he was a European equities fund manager with responsibility for small/mid caps. In 2000 David joined Baillie Gifford, where he took on responsibility for the European small cap portfolios including the Baillie Gifford European Smaller Companies Fund, and delivered strong outperformance. David joined the investment team in January 2013 and has managed the Marlborough European Multi-Cap Fund since October 2013. Guy, a graduate of Oxford University, has over 25 years' City experience dedicated to the research and fund management of small and mid-cap equities. He joined the investment team in 2003 and has a particular focus on the tech sector and other "New Economy" and growth companies. Guy co-manages the Marlborough UK Micro-Cap Growth Fund with Giles Hargreave.